Many brave individuals fought for racial equality during the Civil Rights era. One method of standing up for equality was "sitting in." Black Americans entered businesses that only served white people and calmly refused to leave as a form of peaceful protest. 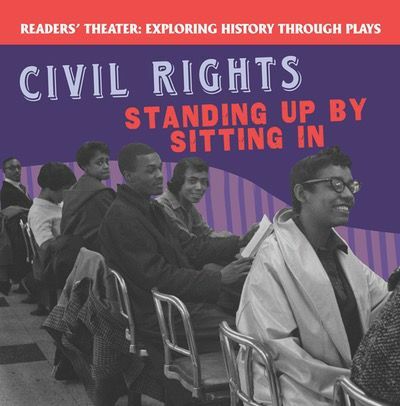 This innovative play follows three black students who courageously hold a sit-in at a lunch counter. This dramatization helps modern readers understand what these protests were like, and to appreciate the bravery of the many student protestors. Historical photographs illuminate this period of history. Stage directions, costume and prop notes, and character descriptions guide readers through the performance. Dimensions: 8 1/2" x 8 1/2"